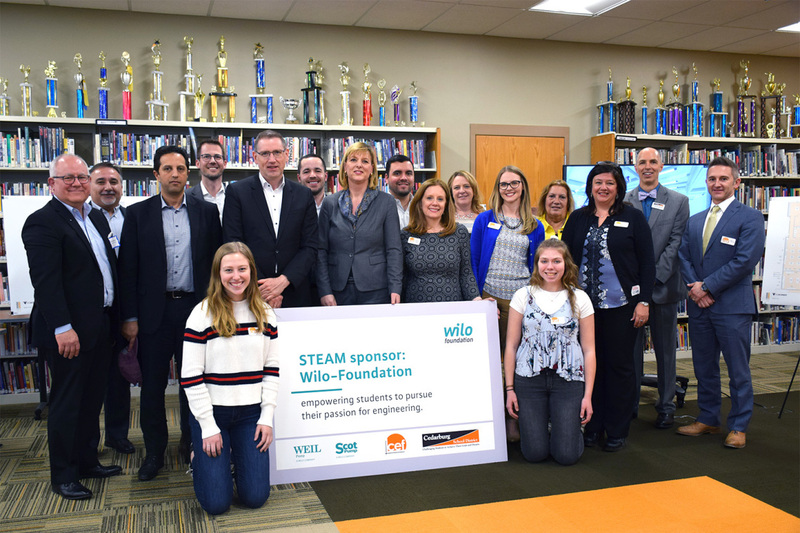 CEDARBURG, WI — Weil Pump and Scot Pump, providers of pumps and pumping solutions for building services, water management, and groundwater, was proud to become a STEAM sponsor in Cedarburg’s School District (CSD) this spring through the Wilo-Foundation. 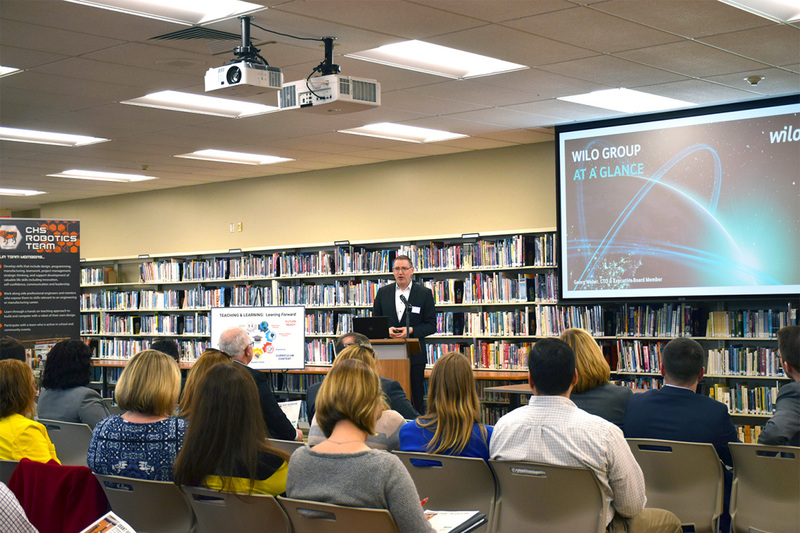 The sponsorship of $100,000 USD over 4 years was announced on March 27 while visiting teachers and students at Westlawn Elementary, Webster Transitional, and Cedarburg High School. The STEAM (science, technology, engineering, art and math) initiative is an integrated, interdisciplinary approach funded by the Cedarburg Education Foundation (CEF). “It is truly an honor to have an international foundation align and connect with the purpose and vision of both CEF as well as the District. We look forward to our STEAM partnership to benefit the future of our District students and staff,” said Julie Cosich, President of the CEF. The donation will help students to secure a well-defined engineering pathway from elementary, to middle, and throughout high school. Weil Pump and Scot Pump are proud to take an active role in this years’ program and looks forward to continuing community involvement. You can learn more about the Wilo-Foundation and their ongoing support at www.wilo-foundation.de/en.html. About Weil Pump, a Wilo Company: Founded in 1927 in Chicago, IL, Weil Pump has long been at the forefront in the design and manufacturing of pumps, systems and controls, for construction, industrial, commercial and municipal applications. In 1990, Weil Pump relocated to Cedarburg, WI. Wilo USA acquired Weil Pump, Scot Pump & Karak Machine Corp, in 2017. About Wilo USA: Wilo USA LLC is a subsidiary of Wilo SE, headquartered in Dortmund, Germany. Wilo is one of the leading manufacturers of pumps and pump systems for heating, cooling and air-conditioning technology for water supply, sewage and drainage. The company is represented worldwide in over 90 countries by more than 60 subsidiaries, including 21 production sites, and employs more than 7,700 people globally. About The Wilo-Foundation: The Wilo-Foundation was set up by entrepreneur Dr.-Ing. h.c. Jochen Opländer and his children in 2011. When the foundation was established, the majority of WILO SE shares previously owned by the family were transferred to the foundation. In accordance with the founder’s intention, the foundation – as well as ensuring the continuity of WILO SE – also has the purpose of providing financial support in the areas of science, education & welfare, culture and sport. 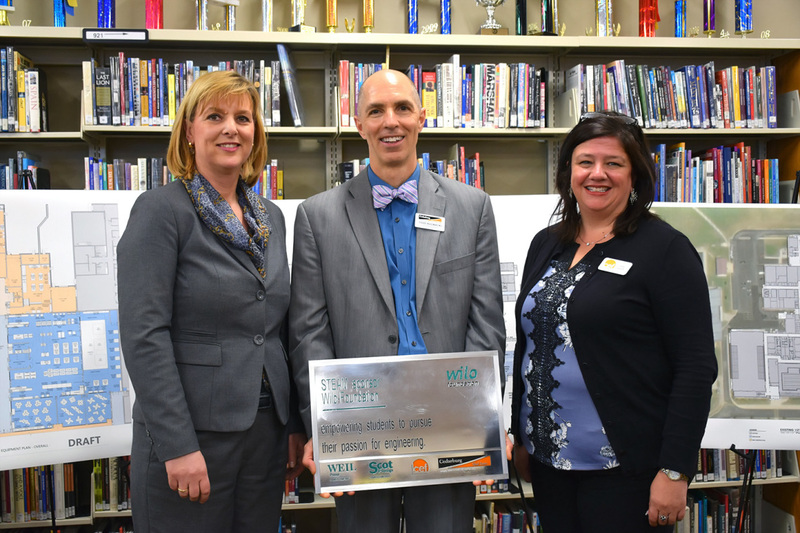 Mrs. Evi Hoch, Executive board member, Wilo-Foundation, Mr. Todd Bugnacki, Superintendant, Cedarburg School District & Mrs. Julie Cosich, President, Cedarburg Education Foundation.